Things are pretty Zen on this first day of the new work week for an online game operator that’s gearing up for its trading debut in Hong Kong. 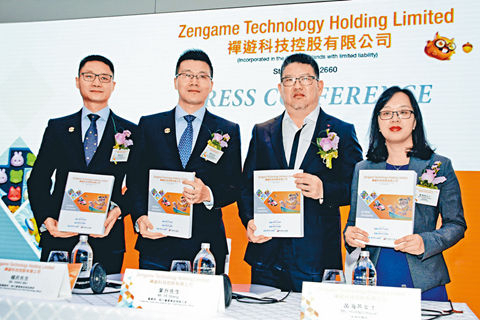 Zengame Technology Holding Ltd. has just announced that its offering priced at HK$1.23 ($0.16), which is almost exactly in the middle of its previously announced range of HK$1.12 to HK$1.32, according to a new company filing. At that level Zengame will raise a tidy HK$180 million – not exactly a huge sum, but still enough to keep the lights on at such a relatively small outfit. The offering saw reasonably strong demand, attracting orders for nearly 2.5 shares for every one being sold to international investors. Demand was even strong among local Hong Kong investors, with that part of the offering more than 46 times oversubscribed. Local investors were originally set to get 10% of the shares on offer, but that amount was raised to 30% due to their relatively stronger demand. The shares will start trading on Tuesday in Hong Kong. The offering comes as China’s online gaming industry has gone through a tough period these last 12 months. The regulator stopped approving new game titles last March amid a government reshuffle. Approvals only resumed at the very end of last year, creating a large backlog and hitting many operators hard. Despite the headwinds, Zengame, whose founder Zeng Liqing comes from gaming titan Tencent, has done reasonably well, banking largely on its hit title “Fight the Landlord.” It posted revenue growth of 21% in 2018, with even stronger profit growth at 65% that year.